It was one of Willie G. Davidson designs that made it from the drafting table to the production line. With aftermarket entities cashing in on the motorcycle customizing craze, the Super Glide was Harley-Davidson’s first attempt at a factory custom, a production motorcycle with some of the style of the custom motorcycles being built in shops across the country. 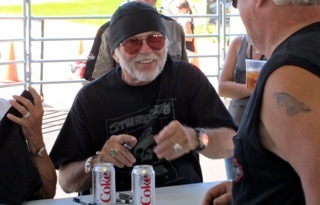 It was a response by the company, through Willie G., to the spreading popularity of choppers, cruisers and other customs. 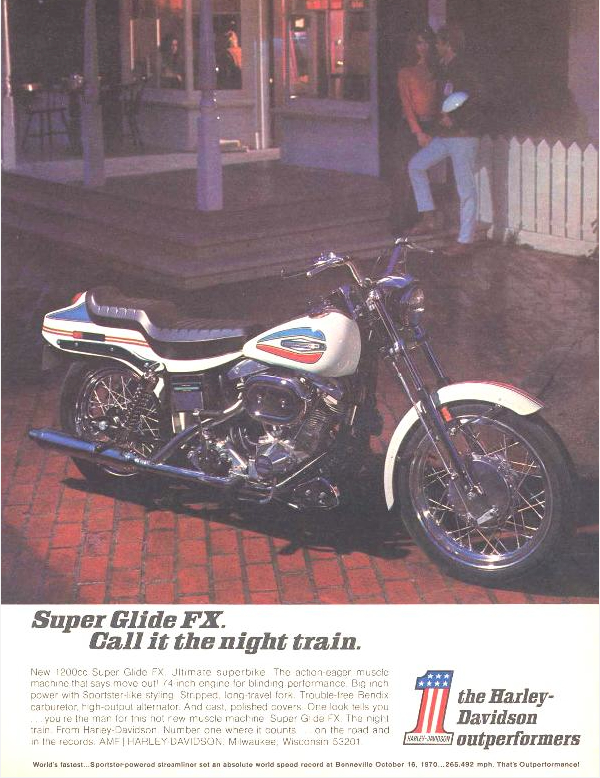 The Super Glide is considered to be a milestone in the history of Harley-Davidson. The original FX led to many variations that would produce some of the company’s best-selling machines. Combining a sporty XL series-like front end with the frame and powertrain from the FL series, Willie G.’s FX Super Glide set the visual pace for a long line of spinoffs, and is considered one of the most stylistically significant motorcycles to come out of Harley-Davidson’s Milwaukee headquarters. I’ve posted previously on the Super Glide as part of a property settlement agreement, dated August 15, 1972, between Elvis Presley and Priscilla. That reference is about Cal Rayborn, considered to be one of the best motorcycle racers of all time, who raced the 10-foot-long, 700-lb. 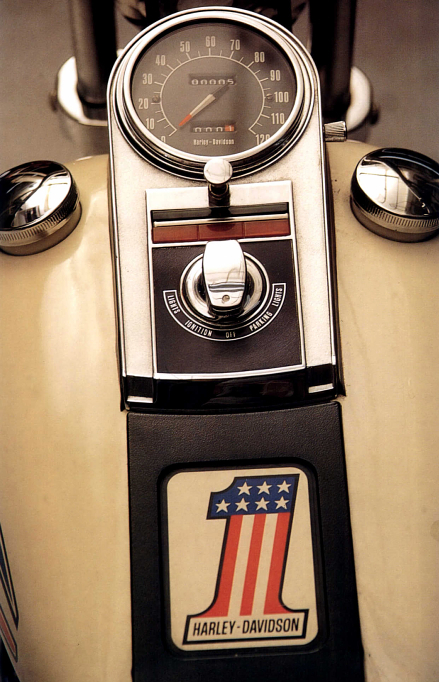 Harley Davidson-based streamliner to a 265.492 mph speed in October 1970. When the bike made it’s record runs the engine was a Warner Riley-Sportster HD engine with tuning from S & S’ George Smith Sr. It was a Denis Manning (Bub Exhaust) machine that was powered by an H-D Sportster engine running 70% nitro-methane. The two-foot-high vessel required Rayborn to lie on his back and steer by peering out the side windows. The feat was particularly impressive because Rayborn crashed several times at high speeds preceding the record-breaking run. The bike, and the record attempt was featured in the 1971 film ‘On Any Sunday‘ and is now owned by the Indianapolis Motor Speedway Museum in Indiana. The Low Rider model was first released back in 1971. Harley-Davidson introduced the FXS Low Rider® to the public in Daytona Beach. With drag style handlebars, unique engine and paint treatments, the Low Rider placed the rider in a lowered seating position than was typical. Then later that year, Willie G. Davidson penned a version of the Sportster, called the XLCR Café Racer. 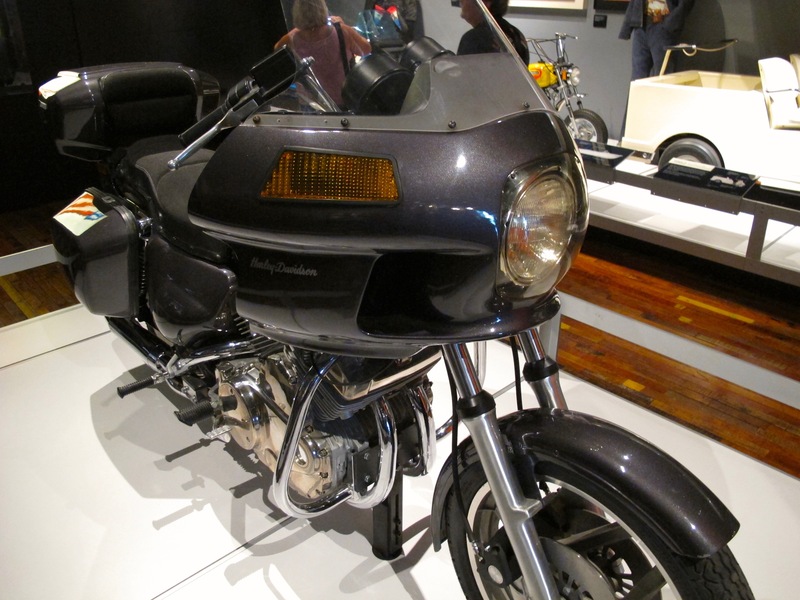 Pronounced “Excelsior” and wearing a small bikini fairing, relatively low handlebars, and blacked-out paint with whitewall tires, the XLCR was only produced for two years. This was Harley-Davidson’s response to the growing cafe racer and sport bike trend among European and Japanese brands at the time. 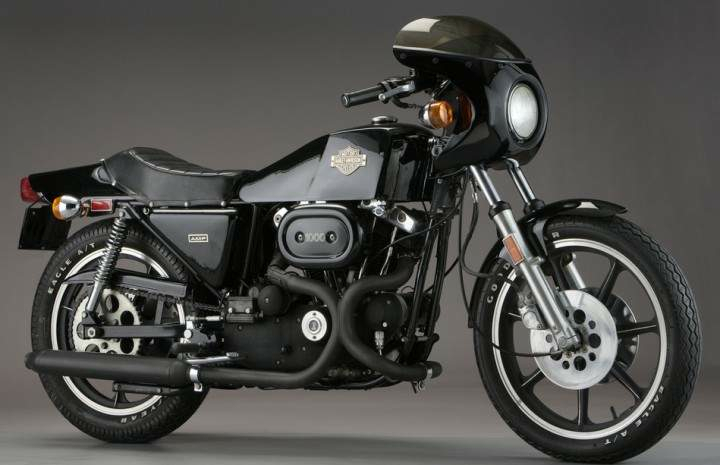 It was largely ignored by buyers at launch, but 1977-1979 XLCR models have become somewhat coveted by Harley-Davidson collectors in recent years. Harley-Davidson executed a redux and brought back a 2014 version of the Low Rider which the motor company promises contained “old school class and exciting new performance.” It’s got the Harley Twin Cam 103 engine and features dual front disc brakes, a 2-into-1 exhaust, and traditional Harley styling. The ergonomics of the new Low Rider have been enhanced to provide the most comfortable ride possible. 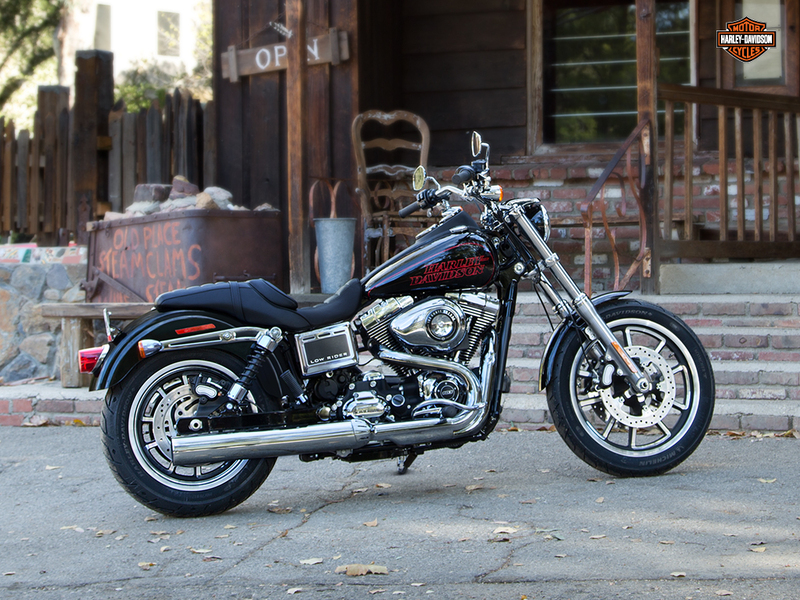 The SuperLow® 1200T is, as the T suggests, more of a touring machine. It runs the Evolution V-Twin engine — but weighs an advertised 118 pounds less than the company’s lightest Big Twin touring bike — and comes standard with a detachable windshield, locking saddlebags and Michelin® Scorcher™ 11T touring tires. The machines got their official public unveiling at this year’s Daytona Bike Week festivities… a bit of déjà vu’ from 1977. Photos courtesy of H-D. XLCR Club (HERE). In the early 1970s, funding dollars were tight, so Willie G. Davidson and his design team mated the chassis of a larger touring bike with that of the lighter, more manageable front end of the Sportster. 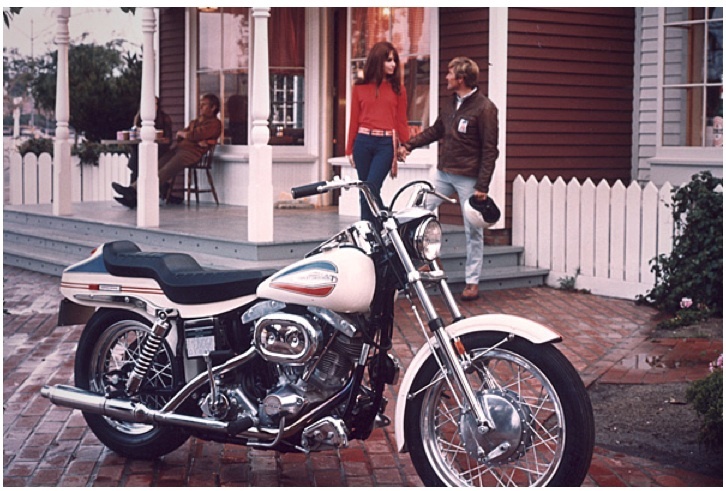 The result was the 1971 introduction of the “Sparkling America” motorcycle which featured red, white and blue paint and a unique “boat-tail” rear fender — all trademarks that say circa: “1970s”. It was also around the same timeframe when Elvis and Priscilla Presley split up. They drew up a property settlement agreement to outline what she would receive from the divorce. The 12-page document shows that Elvis signed over ownership of three of his prized possessions – a 1971 Mercedes-Benz car, a 1969 Cadillac El Dorado and a 1971 Harley Davidson motorcycle along with $100,000 in cash. 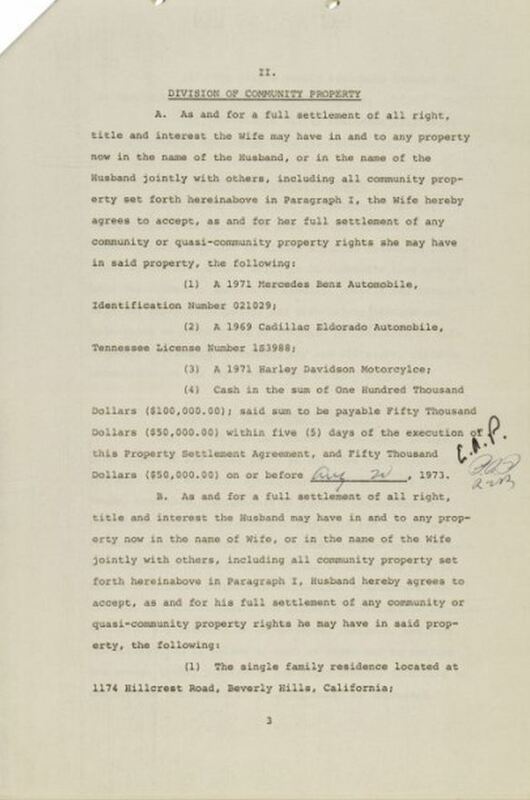 The property settlement agreement, dated August 15, 1972, clearly indicates that Priscilla who had originally agreed to the cash settlement that was 7.5 times less than the amount that she finally received in the end (good lawyer!). The original divorce papers, were sold last night by an unnamed private owner after having them for 20 years, at an auction in Texas for nearly $9,000. I can’t help but wonder what happened to ’71 motorcycle? Was it an original ‘71 FX? I don’t know and there is very little information about the motorcycle or what happened to it. I’ve been unable to find any public photo’s of Elvis with that model motorcycle. If you have any information on its whereabouts I’d like to hear from you. The original 1971 FXs were hard to find. Many owners back in the day didn’t like the “boat-tail” and replaced it with a more traditional bobbed rear fender. According to various reports Elvis owned at least three Harley-Davidson motorcycles, but was photographed on at least 10 different bikes. His first was purchased in 1956, a week after turning 21 years old and just days after recording “Heartbreak Hotel” which launched him into superstardom. 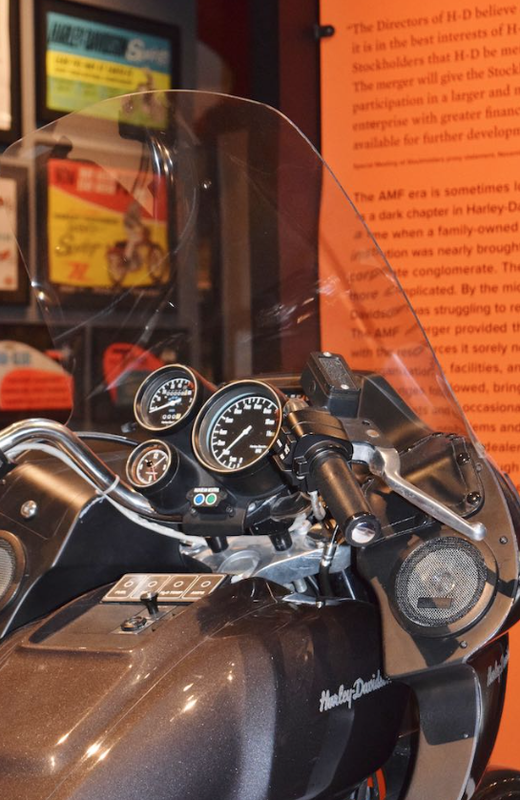 That motorcycle was a ’56 KH and was sold to Harley-Davidson by Elvis’ friend, Fleming Horne in 1995 for an undisclosed amount, complete with documentation and is now part of the H-D museum collection. In a bit of trivia…Elvis rode a number of Harley’s in various films. From my vantage the more notable were “Roustabout” (1964), “Viva Las Vegas” (1964), “Clambake” (1967) and “Stay Away Joe” (1968). On any given Sunday, Willie G. Davidson, Harley-Davidson’s chief styling officer, rides his way out of West Juneau Avenue into the rolling hills near his home in Milwaukee, WI. A roadside coffee shop somewhere at the top serves as Mecca for the motorcycle enthusiast, and fertile ground for his design inspiration. 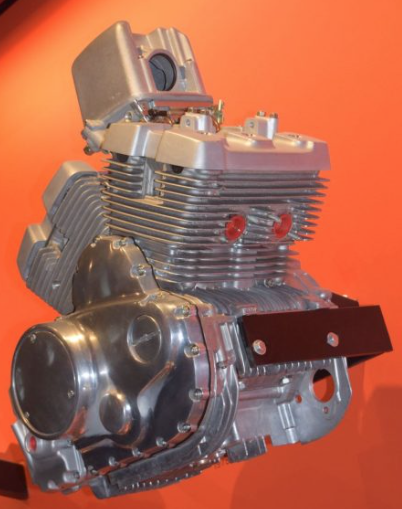 It’s a popular misconception that having an engineering background would be a big advantage designing motorcycles, but that’s not necessarily the case. In many ways, the requirements are quite different. The ability to get highly creative ideas down on paper fluidly is not something that can be easily taught and the rational approach of engineering may hamper more creative solutions at the early stages. It’s a lot easier to take an original sketch idea and seek to make it more practical than taking a mundane-but-feasible theme and try to inject some flair into it. Given we’re about 5 months away from the 2012 new model launch, it’s likely that Willie G. and his team have placed the new design’s in the completion vault… where each aspect of the motorcycle has been so inexorably linked; its powertrain, aerodynamics, even its exhaust and sound system will all appear to not only speak the same language, but be having the same conversation… with the rider. So, what does the unmistakable beanie-topped head of Willie G. do now? 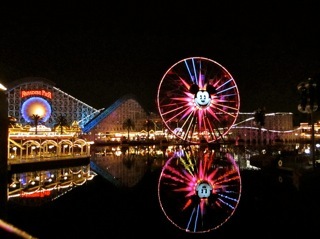 I’m not talking Disneyland! He prepped for the grueling days and workload as a judge at the EyesOn Design Awards. A couple weeks ago Willie G. participated in a judging panel which included Chief Judges Jack Telnak, former Vice-President of Design for Ford and Tom Matano, Director of the Industrial Design program at Academy of Art University and former General Manager of Mazda Design. It’s interesting that a hundred plus years after its birth, Harley-Davidson continues to hold the affection of academic leaders, motorcycle designers and renowned transportation design programs the world over. Why? But I’ve digressed. The judges walked through the hall, considering their choices and then the EyesOn Design Award for Best Concept Vehicle, was awarded to the Porsche 918 RSR . I don’t subscribe to conspiracy theories, but coincidently Ferdinand Alexander Porsche, son of Ferdinand ‘Ferry’ Anton Ernst Porsche, celebrated his 75th birthday during the EyesOn event AND it’s uncanny that Ferdinand who also founded the Porsche Design Studio in Stuttgart which collaborated with Harley-Davidson on the successful V-Rod watched Willie G. present to his company the award. Harley-Davidson today announced a major change in the company’s leadership. James Ziemer who previously announced his retirement called a hasty press conference and stated that ex-CEO of General Motors, Rick Wagoner was tapped to run the company and would start later today. Wagoner, an economics major by training, is best known for his finesse at communicating technology’s benefits and hip-ness — without ever in his career resorting to blue jeans and a black t-shirt. In other news, Chief Talent Officer, Willie G. described a new range of products designed specifically for the needs of the aging Boomer population, all to be sold under the “ReVive” Dark Custom brand. Spurred on by the wild success of their new splash resistant underpant clothing product line, Harley will launch a range of goods and services aimed at the estimated one billion global retirees approaching the age of 80. Details of Harley’s plans were sketchy and much of the “ReVive” Dark Custom program is shrouded in secrecy. The high-security “ReVive” facility stands behind 20 foot walls and a metal gate near the Rio Grande river in El Paso, TX. Observers have noted that Harley recently applied for patents on the brand “Irontanium 883”, and products are apparently being tested on retired employees living at the Individual Center for Retired Aging People (iCRAP). Harley feels the “Irontanium 883” will restore youthful looks and improve body functionality for those too old to chew their own food! While the origin of April Fools’ celebrations is disputed; it is believed that the April fools were people who continued to celebrate the new year on April 1, the ancient start to the new year and the beginning of spring. Photo courtesy of Time/Andy Wong (AP).